August is Vision and Learning month! As we prepare for back to school, make sure you get your child’s eyes checked. Experts say that approximately 80% of what a child learns in school is information that is presented visually. Good vision is essential for students of all ages to reach their full academic potential. Vision is a complex process that involves both the eyes and brain. Specific learning-related vision problems can be classified as one of three types. The first two types involve visual input. The third involves how a child processes and integrates visual information. Eye health and refractive problems can affect the visual acuity in each eye as measured by an eye chart. Refractive errors include nearsightedness, farsightedness and astigmatism and are easily correctable with glasses or contact lenses. Eye health problems can cause low vision — permanently decreased visual acuity that cannot be corrected by conventional eyeglasses, contact lenses or refractive surgery. Functional vision refers to a variety of specific functions of the eye and the neurological control of these functions, such as eye teaming (binocularity), fine eye movements (important for efficient reading), and accommodation (focusing amplitude, accuracy and flexibility). Lack of functional visual skills can cause blurred or double vision, eye strain and headaches that can affect learning. Convergence insufficiency is the most commonly encountered functional vision problem that affects the ability of the two eyes to stay accurately and comfortably aligned during reading. Visual perception includes understanding what you see, identifying it, judging its importance and relating it to previously stored information in the brain. This means, for example, recognizing words that you have seen previously, and using the eyes and brain to form a mental picture of the words you see. Issues with poor visual acuity can be easily corrected with glasses or contact lenses, while issues with functional vision and visual perception can be treated with vision therapy. Children who grow up with undiagnosed vision problems are often unaware that what they see is abnormal, meaning they don’t know to ask for help. Children with vision problems can be misdiagnosed with ADD /ADHD because they skip lines, have poor reading comprehension, take longer than average to complete homework, and have a shorter attention span. The yearly Vision & Learning Month campaign encourages parents to take their children in for a comprehensive vision exam every year. School screenings provide less than 4% of the eye tests needed to help diagnose vision problems spanning all three categories, and miss up to 75% of children with vision problems. Children with vision problems that are not diagnosed and treated may struggle in school and often go on to be adults with the same vision problems. 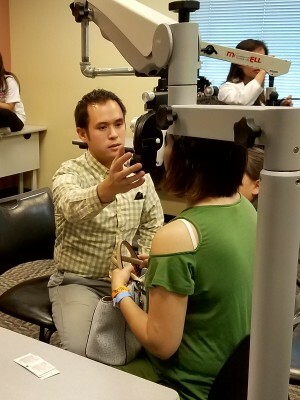 To find a developmental optometrist near you and schedule an eye exam, visit http://locate.covd.org/, and click here for a vision therapy success story! Every May, the National Eye Institute (NEI) encourages Americans to make their eye health a priority and informs them about steps they can take to protect their vision. As optometrists, we help the NEI spread the word about steps patients can take to make their vision last a lifetime during each exam! Some of the ways you can take care of your vision include yearly eye exams with dilation, wearing sunglasses to protect from UV rays, using protective eyewear, and maintaining a healthy lifestyle. One of the biggest lifestyle factors that can affect your vision is tobacco use. The World Health Organization recognizes May 31 as World No Tobacco Day. This May, make sure you’re aware how smoking affects your health and those around you! 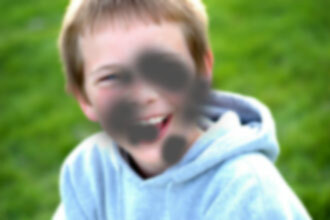 Three to four times more likely to develop macular degeneration than non-smokers. Three times the risk of developing cataracts than non-smokers. 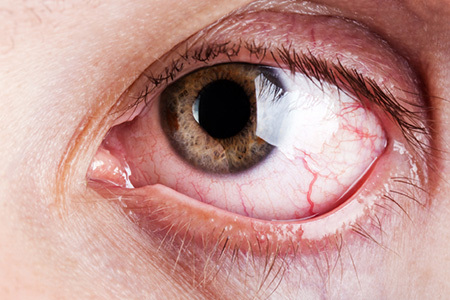 Twice as likely to experience dry eye than non-smokers. At higher risk for getting diabetes and diabetic complications including retinopathy, heart disease, stroke, vascular disease, kidney disease, nerve damage, foot problems, and many others. Not only are you at higher risk for systemic and ocular complications stemming from tobacco smoking, but those around you are at higher risk as well. Nonsmokers living with smokers almost double their risk of developing macular degeneration. In addition to increasing risk for eye diseases, second hand smoke can cause lung cancer and even has been linked to depression. Are you ready to quit smoking? Visit https://smokefree.gov/ to find tools and tips on how to quit smoking. Talk to your doctor about nicotine replacement therapies like chewing gum and transdermal patches that deliver a controlled dose of nicotine to relieve withdrawal symptoms while you try to quit, and medications including Chantix® and Zyban® that are FDA-approved non-nicotine medications that have helped people quit smoking. And if you or a family member smoke, please make sure you schedule an annual eye exam to check for any complications. Albinism is a group of genetic disorders resulting in little or no pigment (melanin) in the skin, hair and eyes. As a result, individuals with albinism are at an increased risk for skin cancer and vision problems. Through a review of statistics, it was found that 40% of all persons with albinism require refractive correction over +4.00D in magnitude, most commonly high myopia (with or without astigmatism). Other common vision issues include light sensitivity, rapidly oscillating eyes (nystagmus) and eye turns (strabismus). According to traditional beliefs, individuals with albinism in sub-Saharan Africa are believed to be the result of infidelity with a white man, ghosts or a by-product of bleaching from a venereal disease. Commonly, they were either killed upon birth or ritualistically buried alive. Today, witch doctors continue to propagate the belief that people with albinism are spirits whose body parts could be used to obtain wealth and good fortune. Since 1990, there have been 300 reported attacks resulting in 190 deaths. These attacks have occurred most frequently in Tanzania, where albinism is widespread, occurring in one in 1,400 people. Sadly, only 21 convictions have been secured, due to lack of cooperation from victims’ families, as well as preconceived notions that people with albinism are blind and unable to identify their attackers. For their safety, many children with albinism have been removed from their families and placed in schools for blind and disabled children. In honor of International Albinism Awareness Day, OCOS is proud to highlight the work of one of our members, Dr. Rebecca Kammer, who has dedicated a significant portion of her professional career to drawing attention to and empowering individuals with albinism in Tanzania. Dr. Rebecca Kammer owns a consulting firm and a part-time low vision practice. Her consulting projects primarily involve the development of outcome measures for clinical trials for vision impairing eye diseases. 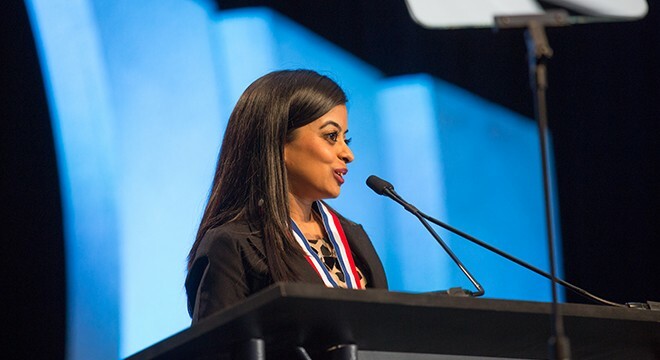 A secondary emphasis is related to her PhD in higher education and involves speaking at health professions universities and providing faculty and curricular coaching related to active learning and critical thinking. In 2016, Dr. Kammer started her low vision practice in Irvine after previously serving as Chief of Low Vision Rehabilitation at the Southern California College of Optometry. Throughout her professional career, Dr. Kammer has been involved in medical mission trips, mobilizing optometrists, optometry students, opticians, members of her church and other health professionals to projects in Honduras, Mexico, Kenya and Tanzania. As stated previously, she is a strong advocate for human rights and healthcare for people with albinism in Tanzania. In 2009, Dr. Kammer was watching a documentary on geneticist Dr. Murray Brilliant and learned about the killing and maiming of people with albinism for their body parts in East Africa. 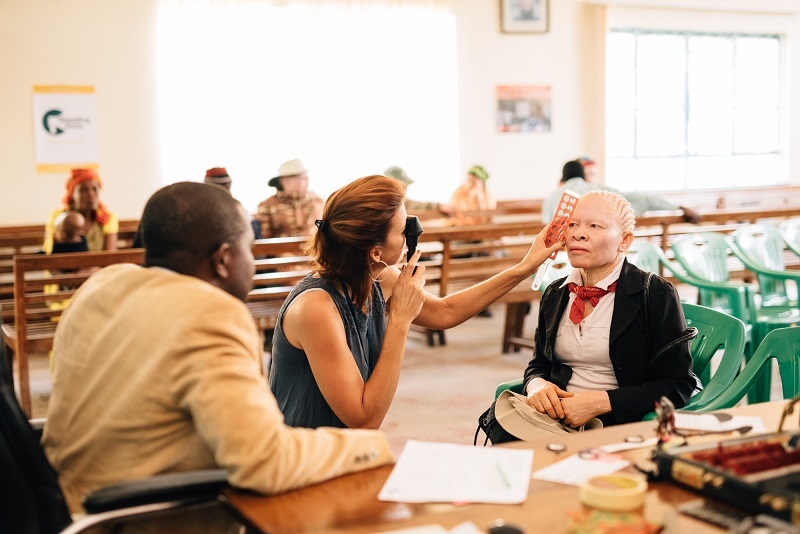 As a health professional familiar with providing care in remote settings and well versed on the vision issues of individuals with albinism, she felt compelled to contact Dr. Brilliant immediately. Dr. Kammer was directed to Under the Same Sun, a nongovernmental organization (NGO) dedicated to promoting the rights of individuals with albinism, and was shortly thereafter leading teams to provide glasses, telescopes and magnifiers for sponsored individuals with albinism throughout Tanzania. In the years that followed, Dr. Kammer continued to develop relationships, including to the Tanzanian Optometric Society, United Nations and the United Kingdom-based NGO Standing Voice. 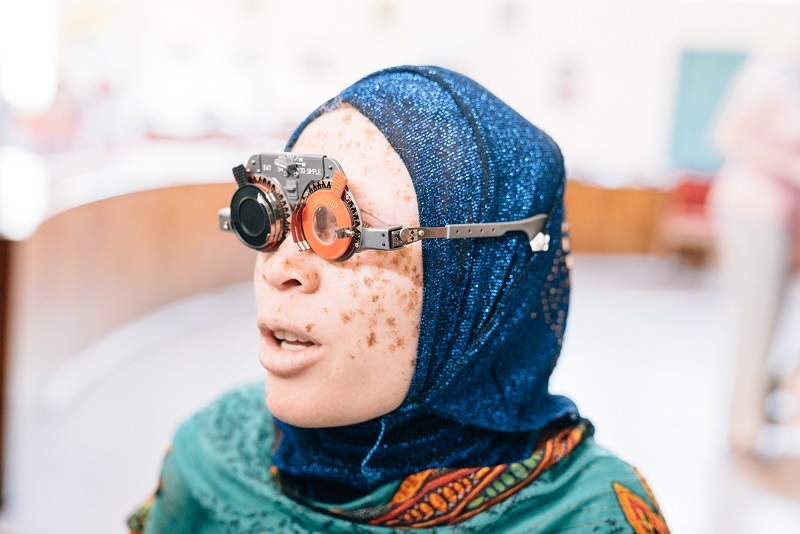 In 2014, she started a Tanzanian low vision program with Standing Voice, educating and empowering optometry and ophthalmology to provide low vision clinics and care to over 1,000 individuals with albinism annually. The program also provides education and advocacy to teachers and political leaders about albinism, while developing a model that is aimed at supporting other African countries with high prevalence of albinism. Dr. Kammer writes and speaks for international conferences in efforts to provide ongoing global awareness and has a book chapter on albinism in Africa through Elsevier on track for publication in late 2017. Read more about Dr. Kammer’s journey helping patients with albinism in Tanzania. One particular young girl about 16 came into one of our early clinics. She was guided in by friends and obviously had severe vision impairment–much more than is obvious in type II albinism commonly seen in Tanzania. She sat down in our exam area and the students I was overseeing were not able to help her; she kept her eyes closed and would not interact with us. This was her first time in school, equivalent to about 1st grade level. After working with her for a bit I got a glimpse of her radical retinoscopy reflex and could tell she was over -20.00 D. I sat there, stunned for a minute, doubting what I had seen. I decided to put -16.00 D in trial lenses and sit her on the side of the room for a while and see what happened. Sure enough, 20 minutes later, I noticed her looking around with her head up. Then she picked up her bare foot and started to hold it up about a foot away from her eyes and examined it. I sat there thinking, “I bet she’s never really seen her feet.” I became very emotional and reflected on how much need existed and how no one had ever examined or appropriately prescribed for 90% of the people with albinism in Tanzania. In addition to the lack of clinical expertise to do an exam on someone with nystagmus, photophobia, low vision, high refractive error and strabismus, there was so much societal discrimination and persecution. I had the pleasure of seeing this young lady (with a final prescription of -26.00 D OU) for several follow-up visits and revising the power of the prescription over the years. In the beginning, our team replaced the glasses twice due to breakage and noticed she didn’t wear them full-time in spite of re-education and reduction of prescription strength. Finally when she was 20 and had advanced several grades in school, but still struggled with integration and inclusion at her older age, I noticed she was wearing her glasses constantly. I asked her what had changed. She said she had been embarrassed of her small eyes and no one in her village had glasses, but a year prior she had returned to her village and her uncle had told her firmly that she must wear them and that she looked beautiful with them on. She never took them off after that and said that she was excelling in school and life was improving for her and that she had finally decided to adjust to the “strong” glasses. The societal and cultural norms have been the most challenging aspect of providing vision care and have created an enormous learning curve. Partnering with existing Tanzanian eye care providers and organizations is crucial to improving access and uptake of health care. Q. What is the best way for a member of OCOS to support your work in Tanzania? In the beginning, and still occasionally, I take suitcases of materials (pre-made glasses, sunglasses, low vision monoculars and magnifiers, etc. ), but now the program has taken on much greater reach and the materials are shipped direct to Tanzania. 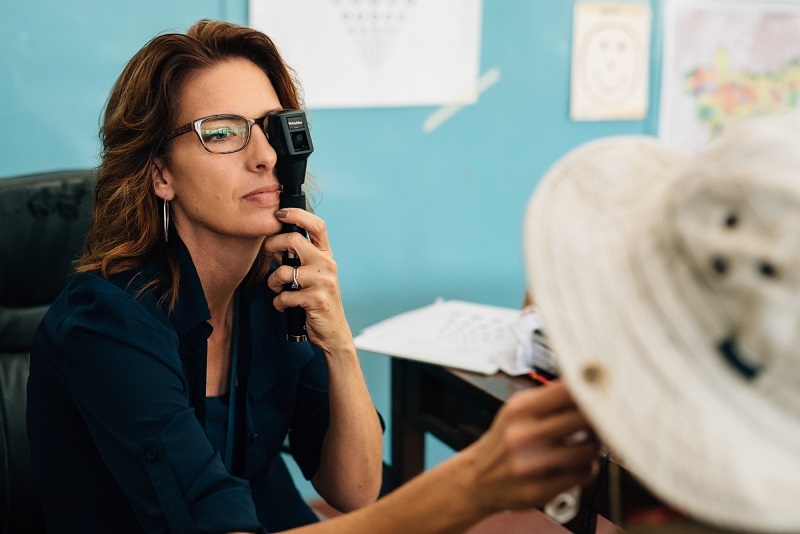 We have found ways to reduce the cost of monocular telescopes to $12 each and glasses as low as $20 thanks to partnerships with Essilor Foundation. As the program grows, the Tanzanian government is starting to help by paying the doctors in our program but the devices and glasses will unlikely ever be covered due to the severe poverty and limited budget. One goal I have for the future is to offer an all-Africa conference for optometry and ophthalmology to attend and learn the unique issues and skills needed to effectively manage patients with albinism. There is such a lack of critical clinical skills, prescribing strategies and transferrable knowledge for patient education (even in the US) that educating and training others is an urgent calling. This conference would be costly and your support is needed. Support in the way of monetary donations is the most pressing need at this time. Standing Voice, the primary program provider, is a UK based organization without a US tax identification number for tax deduction purposes. Under The Same Sun, a Canadian organization with a US arm and tax identification number can be the easier donation route and they will support the goals that I outlined above. Just write in the memo or notes section “Dr. Kammer, conference” or “Dr. Kammer, glasses” under donations on the UTSS web page. Your contributions can make a substantial difference! Learn more about the human rights and health issues surrounding albinism in Tanzania. 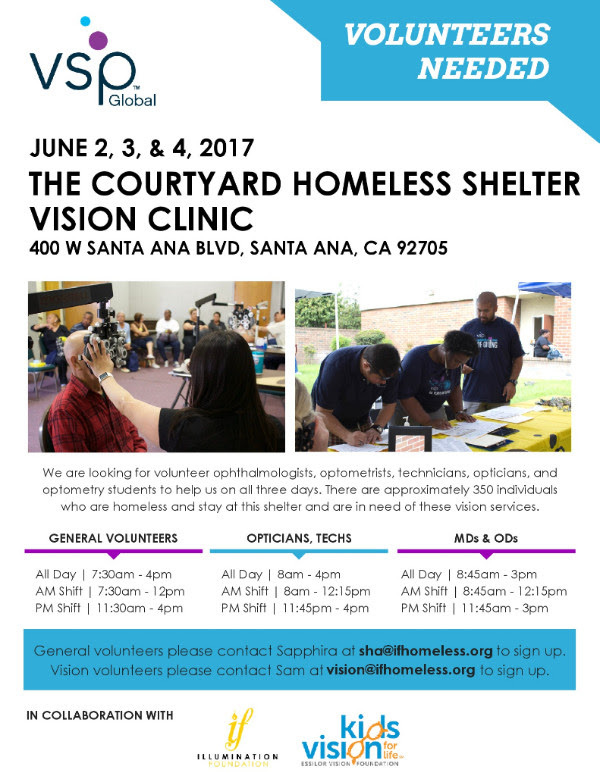 We are writing to let you know that Illumination Foundation, Kids Vision for Life, and VSP are holding a free vision clinic for homeless on June 2-4, 2017 at The Courtyard Homeless Shelter in Santa Ana. We expect to provide free eye exams and new prescription glasses. 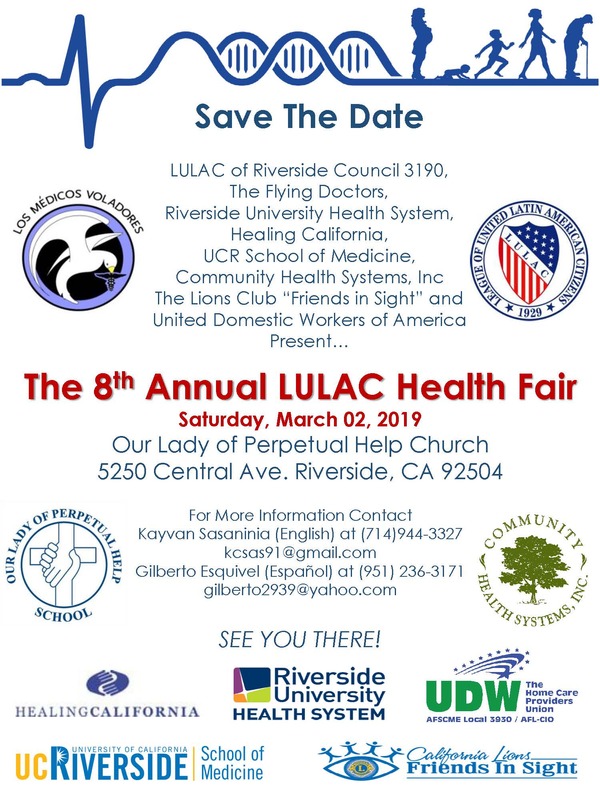 We are looking for volunteer ophthalmologists, optometrists, technicians, opticians, nurses, optometry students, general support staff (intake, runners, chart holders) to help us on this day. Please see flyer above for more details. Lastly, we ask that you please pass this post along to any colleagues or friends who may be interested in helping us. Sjogren’s Syndrome is an autoimmune disease that causes excessive dryness throughout the body. It affects nearly four million Americans, with nine out of 10 Sjogren’s patients being female. Common symptoms include dry eye, dry mouth, fatigue and joint pain. These symptoms can range from mild discomfort to functional debilitation. In the most serious cases, Sjogren’s can result in organ dysfunction or the development of lymphomas. Approximately fifty percent of the time Sjogren’s is associated with another autoimmune disease such as rheumatoid arthritis or lupus. Sjogren’s Syndrome results in a specific type of dry eye that is caused by damage to the tear producing lacrimal glands associated with each eye. The tear film becomes unstable, causing a sandy/foreign body sensation, pain, intermittent blurry vision and redness. Without treatment, the tear film becomes progressively less stable resulting in additional damage to the ocular surface and worsening symptoms. An eye care professional can run a battery of tests to determine whether you have dry eye and coordinate additional tests through your primary care physician to determine a diagnosis of Sjogren’s Syndrome. Your eye care professional can initiate dry eye treatment, which can include artificial tears, warm compresses, prescription eye drops and/or punctal occlusion. Age-Related Macular Degeneration (ARMD) is a disease that affects the central part of vision (i.e., the macula) resulting in blurriness, distortion, changes in color/light perception and, ultimately, loss of vision. Peripheral vision is not affected. Vision loss often goes undetected, as these changes are usually gradual and affect one eye at a time. Nonetheless, ARMD is the leading cause of vision loss in people over 50 years of age, currently affecting over 1.8 million individuals in the United States. 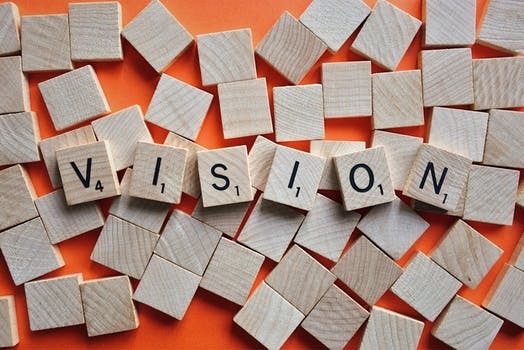 Currently, vision loss as a result of ARMD can not be recovered, but treatment such as supplements, laser, or injections can be administered to prevent additional loss of vision. Lifestyle changes that can make a big difference in terms of disease prevention and stopping progression include quitting smoking, exercising regularly, maintaining healthy blood pressure and cholesterol levels, and eating a diet abundant in green, leafy vegetables and omega-3 fatty acids. Common issues faced by people with ARMD include difficulty recognizing faces, spotting signs and objects while driving, or performing near activities such as reading, writing, or cooking. Low vision devices and training can be used to dramatically improve these and other activities of daily living. If you are at risk for developing ARMD, it is crucial that you receive an annual eye exam including dilation. If you have ARMD, it is even more important that you receive regular monitoring of your condition, as only proper treatment and management can prevent additional vision loss. A multidisciplinary team consisting of a low vision optometrist, a retinal ophthalmologist, an occupational therapist, and orientation and mobility specialists can provide you the best possible outcomes and maximize your independence. If you are an eye care provider and have patients who have been diagnosed with ARMD, please consider referring them to a new study that can compensate them for their time. 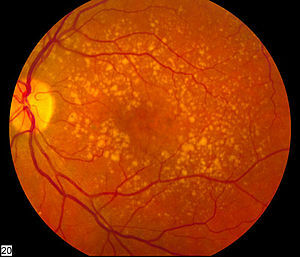 Name of Project: Proposal for a Follow-on Age Related Macular Degeneration (AMD) Clinical Study. Dr. Ridder, Dr. Comer, Dr. Oquindo and Dr. Yoshinaga are currently recruiting normal and age related macular degeneration volunteers for a study at the Southern California College of Optometry/Ketchum Health, Marshall B. Ketchum University. This is a two year study that will repeat testing either every 6 months or annually for each subject during the two years. If you have a potential subject, please contact one of us and please ask your patient if they are interested at the time of their visit if possible.